Use 1 capful (5 mL) for every 80 L (20 US gallons) twice a week. Feed NutriDiet® Cichlid Flakes for optimal fish health. What is the difference between Cichlid Lake Salt™ & Cichlid Trace™? Both contain trace minerals. A: Cichlid Lake Salt™ is a blend of major, minor, and trace minerals to replicate African Rift Lake conditions. 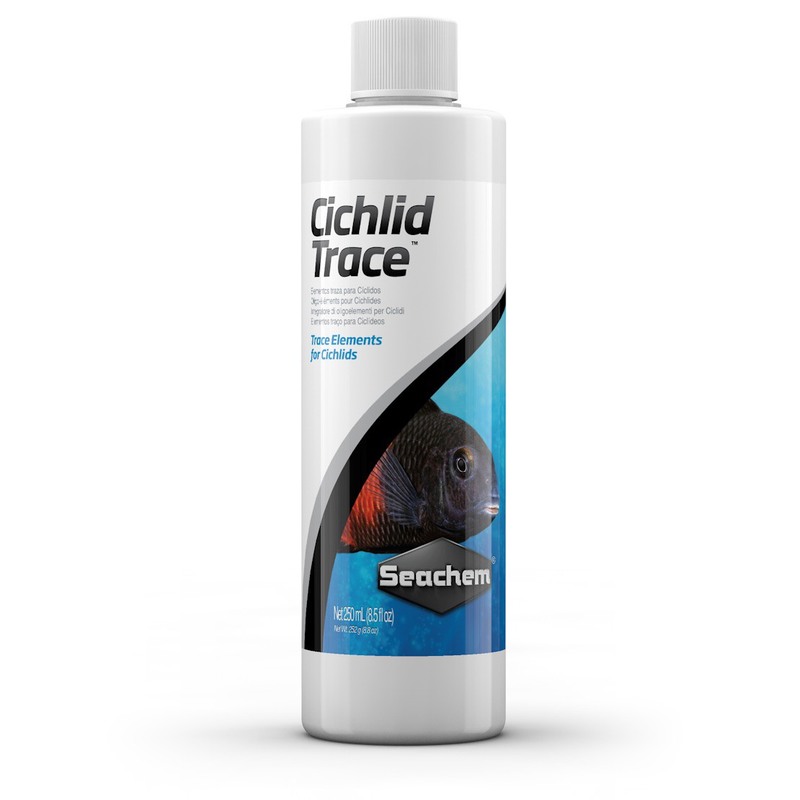 Cichlid Trace™ is a blend of trace minerals proven to be utilized by aquatic vertebrate life (ex. fish). We recommend using Cichlid Lake Salt™ with every partial water exchange (not when adding water to compensate for evaporation. Only water evaporates, not the minerals). I recommend to use Cichlid Trace™ twice a week to keep a fresh influx of trace minerals available to your fish. Some of these trace minerals are depleted rapidly and need to be replenished on a regular basis.